Slingbox Player is amazing technology for the Sports Techie community to consider using during the fast paced NCAA March Madness men’s Division I college basketball tournament and for other live or recorded sporting events because it lets users watch home TV anywhere in the world, on any digital device. I picked up my toddler son from daycare today during the beginning of the Michigan State versus Georgia game being played in Charlotte so I decided to buy Slingbox, download their Slingplayer App for the iPhone that synchs with the M1 Slingbox Player and not miss any hoops games, play or expert analysis as a result of this tech suite. Ever game, show, movie or breaking news available on your live cable or satellite channels and DVR can be viewed on your smartphone, tablet or laptop with no monthly fees. Fans of sport live streaming and workers around the nation should make haste and enter to win the free Madness Cubed sweepstakes that will change the winners work cubicle with a gear makeover, plus a meal for your peers and a brand new Slingbox 500. The #MadnessCubed ultimate cubicle makeover NCAA March Madness tournament sweepstakes by Slingbox runs until March 28th. The company founders wanted to create a tool that let users view their favorite TV content when you aren’t in a living room. These baseball fanatics got tired of missing MLB game while traveling for business. 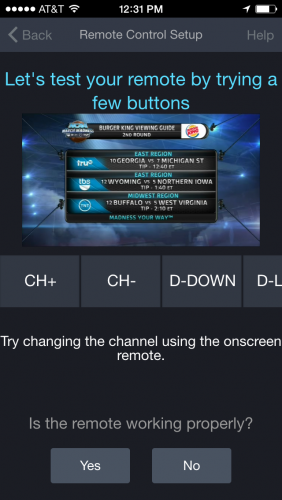 The SlingTV result enables any Sports Techie to watch live TV online Slingbox. Slingbox has seamless video and audio streamed through the Internet or your cellular network and is the only tech that delivers the true TV experience you pay already pay for. It is real-time Live TV anywhere you are or want to be – without blackouts, monthly fees, or limitations. Use Wi-Fi, 3G and 4G cellular networks without restrictions. If you have a Roku or Apple TV streaming device it is compatible with Slingbox useful for a second television. Traveling for work, vacationing in Mexico or going on a family outing? Slingbox enhances the fan experience allowing fans to watch their home team play even if you are out of state or country. Save money by never needing to buy additional cable subscriptions for your second home by taking your cable with you. 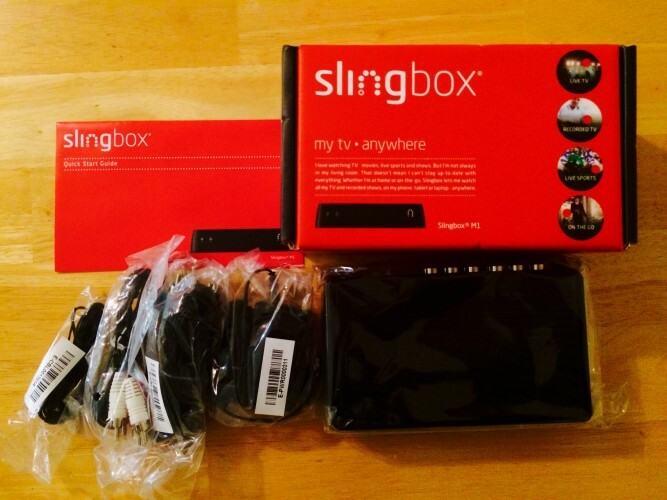 Thank you to Slingbox for sponsoring today’s post and inspiring me to try TV Anywhere! When it comes to Slingbox, if it’s on your tv, it’s on. Watch Anywhere: No matter where you are in the world, or your backyard – watch and control all of your TV on your mobile devices, live or recorded, over the Internet. If you watched yesterday’s record breaking day of five tournament games decided by one point while at work, at a hotel or on the go, today is your day to make up for it with a Slingbox. The #MadnessCubed ultimate cubicle makeover NCAA March Madness tournament sweepstakes by Sling box runs until March 28th. Winners of the free giveaway can win a Slingbox M1 (68 winners will be chosen) simply by entering during the Big Dance. One grand prize lucky winner gets a “cube makeover” for their office complete with a comfy chair, college team swag, an office party meal for coworkers, and a Slingbox 500 (a $5,000 value!). Winners will be announced on March 29, 2015. Head over to this page to sign up, and let the madness begin! • Watch Anywhere: No matter where you are in the world, or your backyard – watch and control all of your TV on your mobile devices, live or recorded, over the Internet. • Stunning Quality: Extend your living room TV experience in sparkling high definition video up to 1080p. Tune in to your favorite programs on your tablet, phone, Mac, PC, or connected TV and enjoy your shows in the best possible quality. • No Monthly Fees: You already pay a lot of money for your current cable or satellite subscription. Only Slingbox lets you take it anywhere in the world without additional monthly fees. Slingbox is a unique technology that lets you watch your home TV anywhere in the world, on any device. Slingplayer® software for Android™, iOS®, and other mobile and connected devices is available separately. Head over to this page – https://ooh.li/a0a576f to sign up, and let the madness begin! Sports Techie, I was born in East Lansing, MI where my Dad attended college and played freshman Spartans basketball while my son’s Mother is proud alumni of the Bulldogs leaving Kellan right in the middle as a fan. 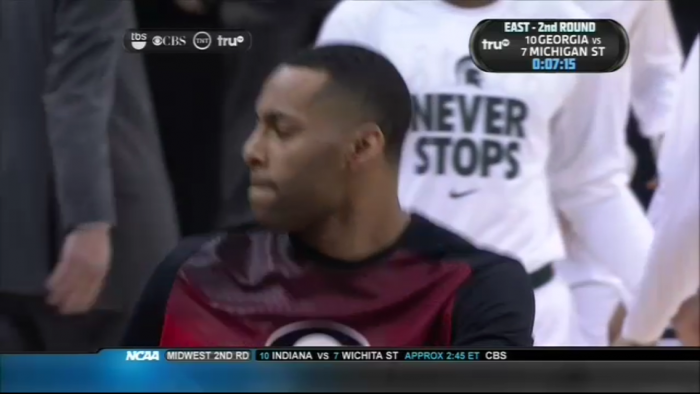 By having a Slingbox I am feeling pretty good about not missing any more March Madness live action whether Sparty, Duke, Kentucky, Villanova, Gonzaga, UCLA or Georgia State plays on or not. Bring on SlingTV college baseball, football and lacrosse, NASCASR and UFC too. Enter the March Cubed sweepstakes right here.